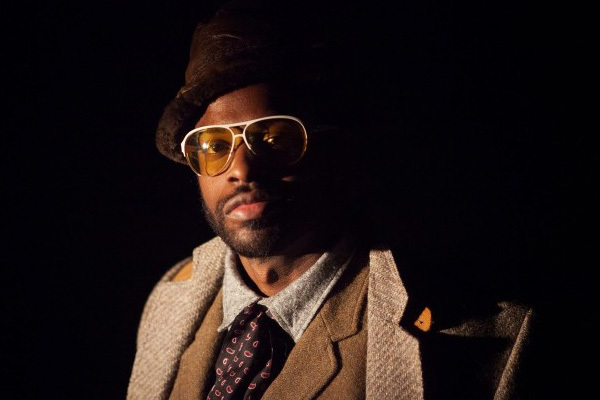 “For most of his career as an artist, composer, multi-instrumentalist, and band leader, Adrian Younge has devoted himself to a particular brand of soul, heavily indebted to the blaxploitation sounds of the early ’70s, starting with his soundtrack to 2009’s Black Dynamite—a theatrically-released spoof of the genre. While the movie was a sendup of the tropes of all things superfly and jive, the soundtrack was an earnest homage, full of wah-wah’s, the vibes and echoes of Curtis Mayfield, Isaac Hayes, James Brown, and 24-Carat Black. His next effort, 2011’s Something About April (presented by his band, Venice Dawn) was also a soundtrack. Though it was full of psychedelic, trippy funk, doo-wop, and rhapsodic horns, it also called in the talents of the Funk Brothers’ guitarist Dennis Coffey and Italian cinematic funkateers Calibro 35, and incorporated lessons learned from studying Ennio Morricone, resulting in a project that was more tender and nuanced. But the film—about a love affair between a young interracial couple in the ’60s—did not exist, and the album brought to the fore Younge’s “extreme obsession” (his own words) with the soundtrack format. Check out a remix of “Hands of God (ft. RZA, Karolina, and Laetitia Sadier)” below!